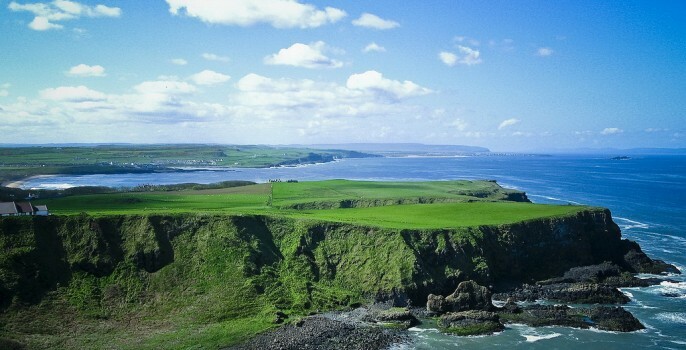 Ireland, romantically called the Emerald Isle for its lush green landscape, sits on the northwest corner of Europe separated from Great Britain by the Irish Sea. Rich with cultural heritage, Ireland was described as the ‘Land of Saints and Scholars’ in the middle ages for its monasteries and scholarly pursuits that took hold while the rest of Europe was slipping into the dark ages. Whisperings of Celtic history paired with ancient castles and structures older than the pyramids make the island a fascinating destination. Ireland has seen a strong emergence of design and handmade goods in the last few years, with many artisans and crafters seeking to reinvigorate classic Irish art. 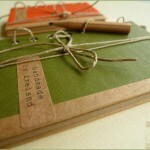 Join us as we explore the cities of Ireland and the inspired Etsy shops that call them home. Limerick is located next to the river Shannon, at the point where the river meets the estuary to the Atlantic ocean. The ebb and flow of the river sends the salty aroma of the sea floating through the air in the city. The nearby Shannon Airport and University of Limerick fuel the mix of residents that made Limerick Ireland’s first City of Culture. 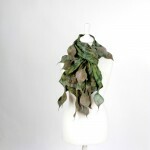 Kate Ramsey of FeltFieltroFilc is an award-winning feltmaker based in Limerick. 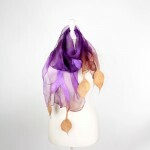 She specializes in unique hand-dyed scarves, necklaces and other fashion accessories. I love Limerick; it has just enough interesting restaurants, cafes and pubs. It’s a splendidly normal life without the price tag of Dublin – I can live in the city center without commuting or cycling around too much! Kate creates her pieces from the finest quality silk and Merino wool. The scarves all start in white and she dyes them according to her mood. I don’t like choosing the colours at the beginning of my work; I prefer to work with dyes, mixing colours individually for each new scarf. A large flock of sheep on her parent’s farm spurred Kate’s interest in wool felt early in life. After buying a felt bag in Barcelona, she couldn’t get felting out of her mind. She scoured the internet and taught herself how to create her beautiful accessories through lots of trial and error. Now she’s self-employed and teaching others! If you ever drop by Limerick, have a stroll on the river bank and walk on Saturday to the Milk Market in the city center to try local crafts and food (and meet me of course). Pop in to the Canteen, our newest arrival on the food map; they serve honest good food, keenly priced with some gluten-free desserts! Don’t forget to visit the Burren, a range of rare hills with a Lunar-like landscape and Lahinch, a beach in West Clare that’s popular with surfers and locals alike! If you don’t find Kate wandering the streets of Limerick, add her on Facebook or Twitter to keep up with her latest creations. She also sells her work on her Etsy shop and website. The tiny townland of Corrydavit sits perched on the west side of Ireland, overlooking the Clew Bay and the Atlantic Ocean. Westport, split by the Carrowbeg river and just around the bay from Corrydavit, was rated the best place to live in Ireland by the Irish Times in 2012. Across the bay, Clare Island offers some of the most stunning views in the country. The island was home to the pirate queen Clare O’Malley, who fought against Queen Elizabeth I in the 16th century and recently inspired a musical produced by the creators of Riverdance. 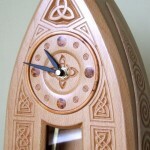 Jack Dolan of Jack Dolan Woodcraft draws heavily on the scenic inspiration and his Irish heritage in Corrydavit, creating meticulous wood carvings of Celtic knots, crosses, and illuminated letters inspired by the famous Book of Kells. Originally from Dublin, I moved here 5 years ago with the intention of setting up my workshop. I’m happy to report it was a very good move indeed. Not least was the warm welcome we got from our new neighbours; you’re never short of a few fresh eggs in the Curra! Jack’s interest in Celtic art blossomed when a friend introduced him to the work of Irish artist Jim Fitzpatrick. 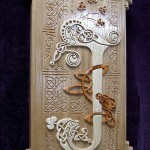 Years later, a hobby of woodturning and discovering the Book of Kells led to him to a harmonious blend of woodcraft and Celtic art. I spend a lot of time studying this great book and occasionally try to reproduce tiny sections of a page to better understand how the original scribes created this masterpiece of the 9th century. The aim of Celtic art is to give the impression of three dimensions with overlapping knotwork; I attempt to give this substance in my work. 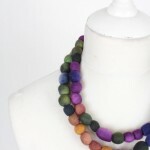 It also makes for very tactile pieces – I encourage customers to handle and feel the quality of the piece! 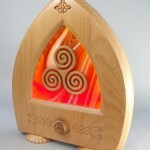 Born in Dublin in 1960, Jack worked as a graphic artist, woodturner, web designer and CAD technician before turning his attention to wall hangings created with Irish hardwoods. 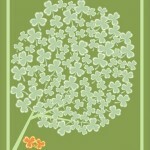 Find out more about Jack’s work on Facebook, Twitter and his website. Established as a viking settlement in the 9th century, the capital of Ireland has a tumultuous history. Home to the national parliament of Ireland, the Oireachtas, Dublin has a number of deeply historical landmarks. The park at city center, Saint Stephen’s Green, fills 22 acres and is adjacent to one of main shopping thoroughfares, Grafton Street. The city is small enough to easily travel on foot; residents can walk nearly everywhere they want to go. Dublin is thriving despite a recession and has a great night life, along with a number of fabulous shops and restaurants. Dublin is known for its literary giants – you can visit where Oscar Wilde and Bram Stoker lived, where James Joyce had coffee everyday, and Trinity College where Jonathan Swift was dean. It’s the birthplace of William Butler Yeats and George Bernard Shaw, and home to winners of the nobel prize for literature – Samuel Beckett and Seamus Heaney. Dublin is a Unesco World heritage site for literature – you can even go on pub crawls to visit all the watering holes where famous writers divined inspiration. 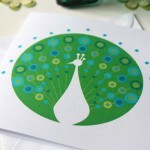 Alexandra Jefferson of Propeller Prints creates unique, handmade cards and stationary. Originally from Australia, she’s called Dublin home for over 12 years. My heart will always be attached to Australia but I’m delighted to call Dublin home. I’m trying to instill a love of drawing, crafting and creating in my two small children – it seems to be slowly working. Who knows, perhaps they’re future Etsyians! Alex has worked as a web and print designer in both Dulin and Sydney. 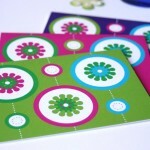 She began designing cards as a way of satisfying her own design whims and it’s taken off from there! I’m a graphic designer so my illustration work for my cards is an off-shoot of that. I’ve always loved making things with paper and crafting an item from scratch. I can easily spend hours doodling and designing and playing with type and colour – love it! 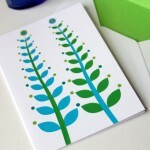 Visit Alex on her Etsy shop to see more of her elegant stationary designs fresh from the Éire. A few hours south along the Irish coast from Dublin lies Wexford. Similar to the capital city, Wexford was founded by vikings – the nearby Wexford Harbour served as a bustling seaport until the 20th century, when larger ships became commonplace and the shifting sands of the harbor proved unfeasible for dredging. Wexford is steeped in culture, including the renowned Wexford Opera House, which hosts the international Opera Festival every October. Louise O’Dwyer of SWALK Designs lives in the surrounding County Wexford on a small farm with her husband and three young children. 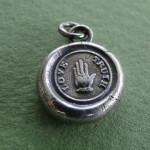 Louise creates sterling silver impressions of antique wax letter seals from the 18th and 19th centuries, shaping them into whimsical and historical pendants and charms. The mottos and images on these stamps are funny, sentimental, inspiring and still relevant today. 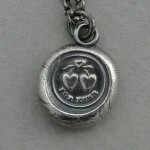 I’ve been a silversmith now for 8 years and have loved every minute. This shop is a new adventure for me and I am hoping to sell my sterling silver wax seal pieces in brick and mortar stores throughout Ireland. Born in Dublin, Louise studied at Art college to earn a degree in fine art. She loves to travel and feels privileged to be close to all the major European capitals – though nothing beats being at home on the farm. I love animals; I have a herd of 16 land-living Hermann’s tortoises. We also have a flock of hens that provide us with fresh eggs, a cranky parrot, cat, dog, geckos and a pair of male budgies who are in love. It’s a mad but very happy household. Each of Louise’s creations comes with an explanation card describing the imagery and symbolism of the historical stamp, so that the sentiment comes across when given as gifts. See more magnificent SWALK creations on her Etsy shop, Facebook and website. Kilkenny, a Medieval city in the south-east of Ireland, is a place that anyone visiting Ireland should have on their list. With the famous Kilkenny Arts Festival, the iconic Kilkenny Castle overlooking the river Nore and beautiful narrow streets, it’s one of the most popular and unforgettable tourist destinations in Ireland. 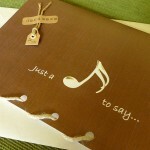 Justyna Mackowska of jmmCards with a twist came to Kilkenny from her native Poland over 10 years ago. A background in teaching and translation made her passionate about Ireland’s culture, language and people – as well as its breathtaking landscape. Justyna uses a unique combination of photography with natural materials to design and handcraft unique greeting cards, calendars and journals. The cards’ uniqueness sets them apart from the usual run-of-the-mill, mass-printed products on the market. Specially shot photographs adorn the cards and calendars. Carefully chosen warm, earthy tones, a natural twine detail and a tiny, hand-cut recycled cardboard tag give them a rustic twist. Working from her home studio, Justyna creates papercraft items that appeal to men, women and children of all ages. 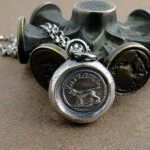 Her products are available in a number of retail shops in Ireland as well as her Etsy shop. Justyna is constantly adding to her range of products, recently introducing wedding stationary and bespoke wedding prints. Visit the jmmCards website or follow Justyna on Facebook or Pinterest to see sample cards and learn more about this Irish crafter. Ireland may look dwarfed next to the immense island of Great Britain, but this small sampling of artisans and crafters in the Etsy community proves that the art and culture of the Emerald Isle are as spirited as the country’s history. Join me next time as we explore another inspirational international community on Etsy. Flickr photo credits: Ireland photo by bass_nroll. Dublin photo by infomatique. Wexford photo by Andy Hares. Kilkenny photo by IrishFireside.